In 1985, famed astronomer, author and TV host Carl Sagan invited Jill Tarter to dinner at his house near Cornell University. Tarter, heavily involved with the Search for Extra-Terrestrial Intelligence, gladly accepted the chance to speak with Sagan, a member of SETI’s board of trustees. Seated with Sagan and his wife, Ann Druyan, Tarter learned that Sagan had a fiction book on the go. “Annie said, ‘You may recognize someone in the book, but I think you’ll like her,'” Tarter recalled in an interview with Universe Today. It was 15 years ago this month that the movie Contact, based on Sagan’s book of the same title, expanded to a run in international theatres after a successful summer in North America. The movie explores the implication of aliens making contact with Earth, but does it from more of a scientific perspective than most films. While Contact, the movie did not talk about the pi sequences or advanced mathematical discussions in Contact, the book, it did bring concepts such as prime numbers, interference with radio telescopes, and the religion vs. science debate to theatres in 1997. Tarter, who has just retired as the long-time director of the SETI Institute, said she was stunned by the parallels between her own life and that of Ellie Arroway, the character based on her in Contact. Both lost parents at an early age. Both also had to make their way in a field aggressively dominated by males. Tarter recalls a meeting with fellow female scientists of her generation some years ago. Tarter cautions the parallels did not totally match. The hopes and aspirations of Ellie in the book, and also the movie, were products of Sagan’s imagination. But the producers and actors of the film did want to get a close sense of what it was like to work with SETI. After Jodie Foster was cast as Ellie, there were multiple phone calls between the actress and Tarter to discuss SETI. “From her point of view, she was clear she wasn’t going to teach anyone astronomy. She was interested, in a personal way, about what the scientists were like,” Tarter said. When the crew was filming at the Arecibo Observatory in Puerto Rico, Tarter flew there to observe the work, meet with Foster and also show the actress around. Tarter recalls bringing Foster up in a cabin that had a perfect view of the telescope, some 500 feet above the dish. Filming was an interesting process for Tarter, as well. There were the microphones, and the tools the crew used to check continuity. Most amusingly for Tarter, she observed Foster (reported height 5 feet, 2 inches) needing to stand on a box for most of the close-up shots with actor Matthew McConaughey (reported as 6 feet tall). Two errors still irk Tarter today. There is a scene when Ellie gives a modified version of the Drake Equation, which calculates the odds of intelligent life who are capable of communicating with other life forms, and the calculations are all wrong. “It’s really infuriating,” Tarter said. The other large mistake is a scene where Ellie gets a potential signal from space, while working at the Karl G. Jansky Very Large Array set of radio telescopes in New Mexico. Tarter walked the red carpet at the movie premiere and spent most of her time watching the film in tears of happiness. That euphoria evaporated when she saw the SETI Institute was not credited at the end of the film. When she talked to one of the film producers, she said she was informed that lawyers usually draft agreements specifying the length of time the credit appears, and the compensation received for doing so. But the professional connection with Foster still remains. Foster happily responded to a request from Tarter to do voice-overs for a video clip used for a SETI high school curriculum for integrated science. She also narrated a show, Life: A Cosmic Story, for the California Academy of Sciences Morrison Planetarium. 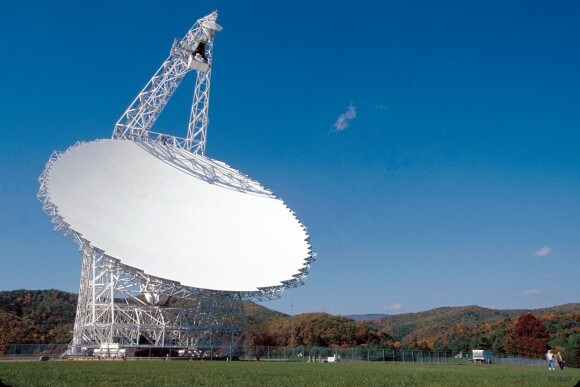 Tarter is now shifting into full-time outreach for SETI, saying the budgetary problems that shut down the organization’s Allen Telescope Array for several months last year were a warning call. One of the organization’s newest initiatives is SETILive.org, which crowdsources analysis of signals from the Kepler Field. SETI solicits the public to take some time looking at the signal patterns, one at a time, in search of extraterrestrial communications. Alien life probably isn’t interested in having us for dinner, enslaving us or laying eggs in our bellies, according to a recent statement by former SETI director Jill Tarter. In a press release announcing the Institute’s science and sci-fi SETIcon event, taking place June 22 – 24 in Santa Clara, CA, Tarter — who was the inspiration for Jodie Foster’s character in the film “Contact” — disagreed with both filmmakers and Stephen Hawking over the portrayal of extraterrestrials as monsters hungry for human flesh. “Often the aliens of science fiction say more about us than they do about themselves,” Tarter said. “While Sir Stephen Hawking warned that alien life might try to conquer or colonize Earth, I respectfully disagree. If aliens were able to visit Earth that would mean they would have technological capabilities sophisticated enough not to need slaves, food, or other planets. If aliens were to come here it would be simply to explore. Tarter, 68, recently announced her stepping down as director of SETI in order to focus on funding for the Institute, which is currently running only on private donations. Funding SETI, according to Tarter, is investing in humanity’s future. On the other hand, concern that searching the sky for signs of life — as well as sending out your own — could call down hungry alien monsters would make a good case for keeping quiet. And a quiet search may not get the necessary funding to keep going. I can see where Tarter is coming from. Top image: Alien 3, © 20th Century Fox. Tip of the tinfoil hat to EarthSky.org.